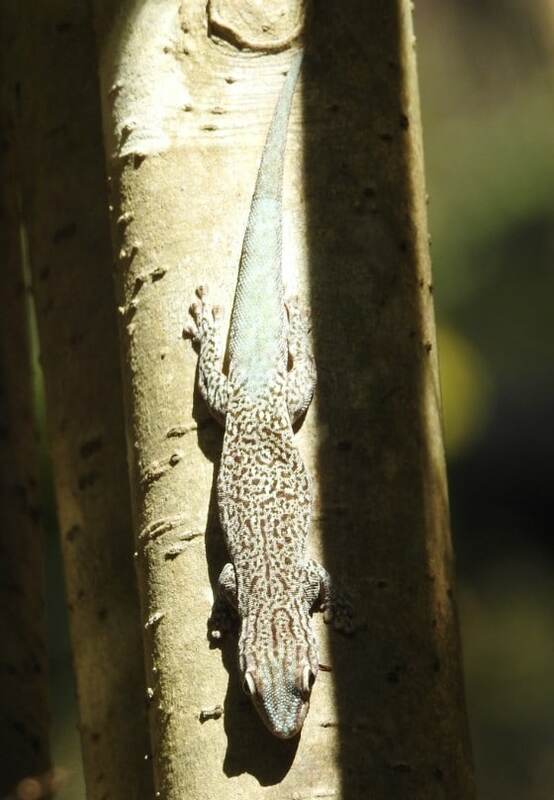 Madagascar has many species of day geckos, so called because they’re diurnal (active during the day). We’ve seen several lived and peacock day geckos while in the rainforest, and here in Isalo we met a new one: the thick-tailed day gecko. I love its mottled coloring and the slight blue tinge to its tail.